Europe has an estimated EUR 100 billion worth of unexploited mineral resources lying at depths of 500-1,000 m. Following centuries of active mining, the continent's more accessible mineral deposits are mostly depleted. 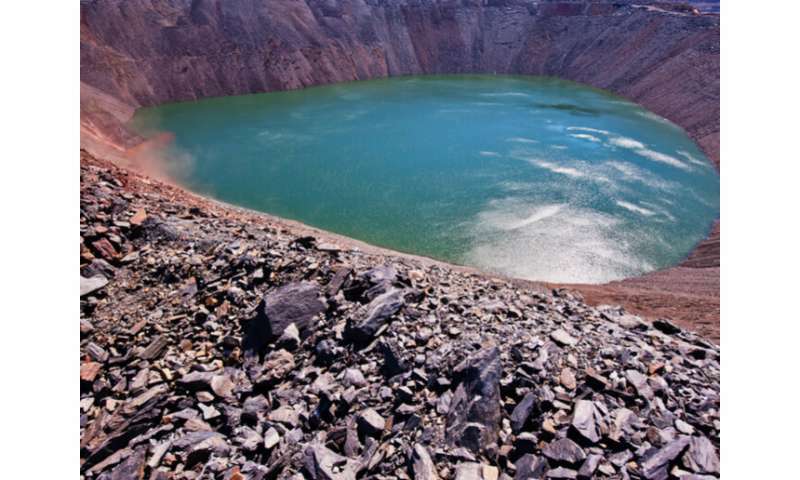 However, there are still deep-lying resources in abandoned flooded mines and in unmined underwater deposits that can't be exploited using conventional dry mining techniques. Thanks to a novel underwater mining system developed by the EU-funded project VAMOS, currently unreachable mineral deposits will be extracted in the future. By making underwater ore extraction possible, the robotic mining system can pave the way for the reopening of abandoned and flooded opencast mines that have an open pit rather than shafts. The technology also has the potential to extend the lifespan of opencast mines with high stripping ratios where large amounts of waste rock need to be mined to obtain a given amount of ore or with hydrological and geotechnical problems. What's more, it may even lead to the opening of new European mines with a smaller environmental footprint. To this end, project partners have just completed their second successful field test at the Magcobar flooded mine pit in Silvermines, Ireland. The first test in 2017 took place at a flooded kaolin opencast site no longer in use in Lee Moor, Devon, in the United Kingdom. The tested technology includes a remote-controlled underwater mining vehicle capable of cutting rocks to 50-mm fragments. Equipped with a laser spectroscopy system, the vehicle can grade the ore in real time, reducing the amount of waste rock mined. The vehicle is launched and recovered from the water using an anchored launch and recovery vessel (LARV). The mined material is pumped up to the LARV on the surface. It's then sent through a floating pipe system to a dewatering facility on the shore for further processing, while the excess water is returned to the mine pit. The mining vehicle's exact positioning, navigation and situational awareness are controlled by a hybrid remotely operated vehicle. "The process is unmanned so it is much safer and because there is no dust explosives noise or vibration and you are not demolishing large areas of rock to get to a small amount of mineral it has a much smaller environmental footprint than conventional mining" says Jenny Rainbird of project coordinator BMT Group Ltd in a news item posted on the website 'The Engineer'. This cutting-edge technology also has other advantages. For one, groundwater doesn't need to be pumped out of the mine continuously, which means that less energy is consumed, also making the system more cost-effective. Additionally, the local groundwater level isn't affected, which implies a reduced impact on the surrounding environment. Also, because of hydrostatic effects, less energy is needed to bring the ore to the surface.